So far, the majority of coverage of the Unmasking Antifa Act of 2018 is about how this bill relates to Antifa and other protesting. This bill bans fascist tactics (violence to deny rights) when using disguises. The other part of the bill grants immunity to “law enforcement” in executing the same fascist tactics against the people. The bill frame fascist tactics by police as “lawful” despite everything that “law enforcement” does is purely legal and only under the color of law. carrying out the duties of his office or lawfully enforcing ordinances and laws of the United States, the District of Columbia, any of the several States, or any political subdivision of a State. For purposes of the preceding sentence, the term `law enforcement officer’ means any officer of the United States, the District of Columbia, a State, or political subdivision of a State, who is empowered by law to conduct investigations of, or make arrests because of, offenses against the United States, the District of Columbia, a State, or a political subdivision of a State.”. Everything that “law enforcement” does is outside the “lawful” realm and sits squarely under “legal fiction” and “color of law.” Thus, so long as “law enforcement” (which is better called “legal enforcement”) can be framed a “legal and non-lawful” then this law can be used to prevent ALL LAW ENFORCEMENT from doing their job in using threats of violence and actual violence. One year after ignorantly doubling down on the drug war, the UN is now calling to end prohibition. The drug war is crumbling. A little-noticed public statement issued by the United Nations last week contains a dramatic shift in thinking on the issue of “illicit” substance use. 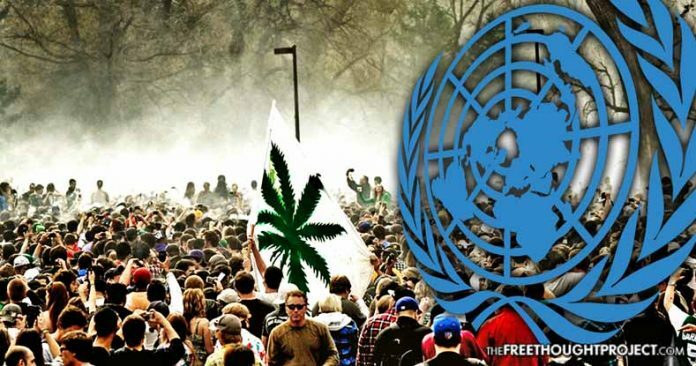 After recommitting to the failed idea of prohibition just last year, the UN is now calling for the worldwide decriminalization of drug use and possession. The statement, put out by the World Health Organization (WHO) as the U.S. is in the midst of a nonsensical debate over health care, calls for “ending discrimination in health care settings.” The WHO calls on states to end discrimination against “marginalized and stigmatized populations” in a variety of ways, and includes a blunt and rather shocking statement on the drug war. The “LAW” -which is then rewritten!!! as a statutory CODE- that stops “propaganda” on the web only applies to US CITIZENS. So despite the CORPORATE Media literally claiming that its Russian Propaganda stories are CORPORATE PROPAGANDA, it is the alternative media free speech that is being legalized/fictionalized and then made illegal. On Wednesday, Ohio Gov. John Kasich signed a bill legalizing medical marijuana in the state. This takes a big step toward nullifying the unconstitutional federal prohibition on cannabis in practice. Rep. Stephen Huffman (R) introduced House Bill 523 (HB523) on April 14. 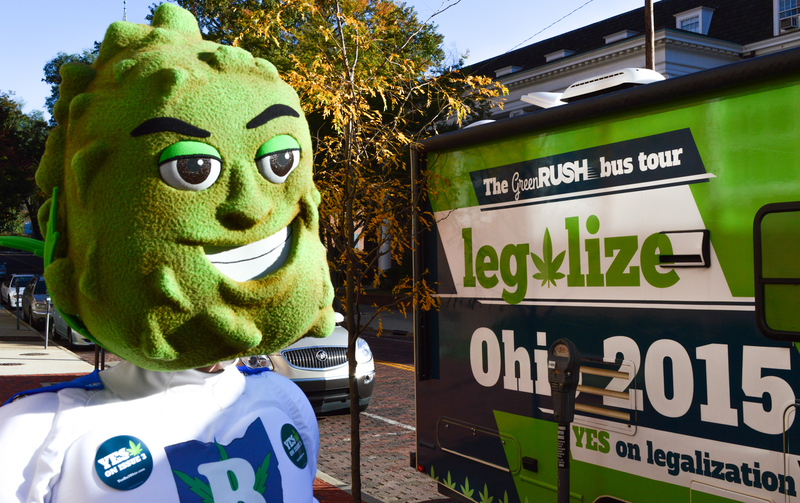 The legislation sets in motion the creation of a limited medical marijuana program in Ohio. There is hereby established a medical marijuana control program in the department of commerce and the state board of pharmacy. The department shall provide for the licensure of medical marijuana cultivators and processors and the licensure of laboratories that test medical marijuana. The board shall provide for the licensure of retail dispensaries and the registration of patients and their caregivers. 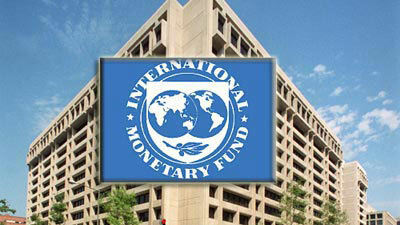 The department and board shall administer the program.